Pine Rivers Kindergarten is a community based not for profit Government Approved Registered Care Provider. Pine Rivers Kindergarten is an inclusive environment for all children, including full disabled facilities, and additional assistance for children with special needs. Pine Rivers Kindergarten is situated in a quiet suburban street of Kallangur, North Brisbane. Families from all North Brisbane areas are welcome to enrol and access our facilities. Our Kindy sits spaciously on 3035 sq. meters of land and is surrounded by a beautiful natural environment waiting to be explored by happy little feet. Pine Rivers Kindergarten features recently renovated facilities with two large, well-resourced air-conditioned classrooms. These learning environments may be divided into various play areas so that whole class, small groups and independent activities can be fostered and celebrated. Children also have access to iPads within each unit. Our fully fenced large outdoor play area is the shining star of our Kindy with established gardens, large natural lawn areas, tall shady trees, and a variety of wildlife visitors. We boast wet weather play areas, forts, swings, bridges, sandpits and a dig patch, a mud kitchen, a cubby house, vegetable gardens and shaded play spaces. Pine Rivers Kindergartenhas a sun smart accreditation for its sun shades. Our Kindy also has a diverse range of gross motor play equipment specifically designed for children from 3 years of age. The original site for the Pine Rivers Kindergarten was charitably donated by Miss Eliza J Beattie, a local Pine Rivers resident. The community project to build the Kindergarten commenced in July, 1961. The first unit opened on 21 August, 1965, and the second unit on 29 July, 1972. In December, 2000, our Kindergarten undertook a major renovation and extension project. Our Kindergarten has full disabled facilities with an outside-access bathroom/toilet. The extension also included a new foyer, and the current administration office. A generously sized concrete car park was added in September, 2002, for the convenience of the children, families and staff. In early 2011, Pine Rivers Kindergarten and The Gowrie (Qld) Inc embarked on a strong educational partnership. 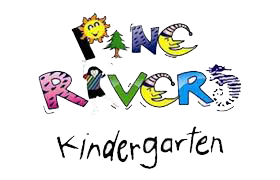 Pine Rivers Kindergarten is now affiliated with The Gowrie, who are widely recognised across Australia for their quality early childhood education programs and care, since their inception in 1940. The Gowrie is committed to best practice in children’s services, and their programs provide a benchmark standard of quality care and education which is widely recognised throughout Australia. Pine Rivers Kindergarten is a not for profit community based association, with all profits reinvested back into the centre to benefit the children. This association and its assets are owned by the parent body which elects a Management Committee each year to ensure the effective operation of the kindergarten. Pine Rivers Kindy is a Government Approved Registered Care Provider. At Pine Rivers Kindy we believe that childhood is a unique time of life, to be valued and enjoyed in its own right. We also recognise that this is the time where foundations are laid for learning, understanding, communicating and socialising. We value children growing up with the understandings, skills and attitude to be caring and effective learners, able to contribute to their world by enjoying and appreciating rich and successful relationships with others. At Pine Rivers Kindy, we aim to fulfill our mission statement by providing a supportive play and learning environment for young families, that acknowledges and respects the uniqueness of each child, and the importance of family and the surrounding community. Pine rivers Kindy recognises that the parents are their child’s most influential teachers, and as such, we warmly welcome parent involvement and feedback. Each year, a motivated and interested group of parents are elected to the Pine Rivers Kindy Management Committee. This Committee, along with valuable input from key staff members, is responsible for the decision making process and ultimately the direction of the Kindergarten. This management practice enables parents to have direct input into the operation of the Kindergarten. This year’s committee is extremely passionate and committed to the task at hand, with strong goals and a clear vision on how to achieve them. The committee is morally strong in the sense that we will not be swayed or steered in any direction, by any individual, but rather make informed decisions based on facts, ones that will benefit the Kindy, but more importantly, decisions that are in the children’s best interest. We are all parents who are heavily invested in our children’s development and future, and it all starts here at Kindy with us as their role models, their leaders and educators. And part of this as we know is formed around them feeling safe, happy and having heaps of fun.